Everyone has a story to tell. Struggles and triumphs, setbacks and sweeping successes. 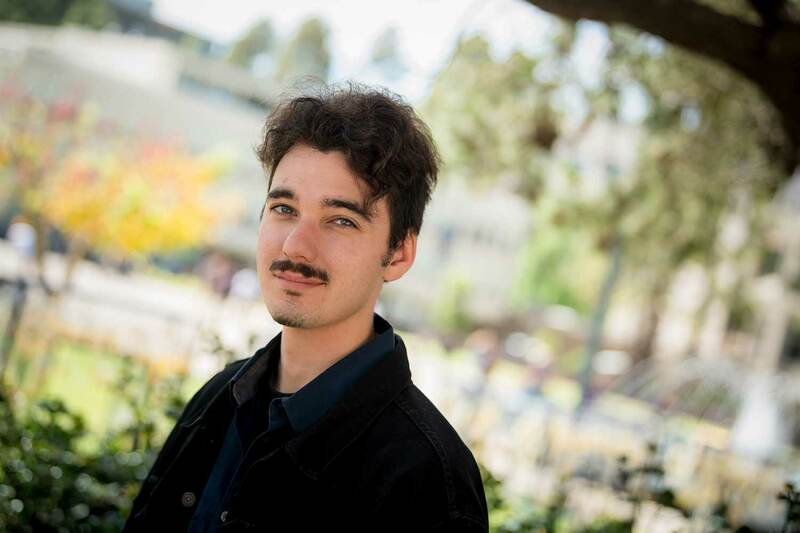 It is human experience that motivates this year’s UC San Diego All Campus Commencement student speaker, Richard “Ricky” Flahive, a peer mentor and aspiring community leader whose own narrative is one of happy persistence despite countless hurdles. As a first-generation, low-income student who wasn’t sure he would even graduate high school, Flahive had to restart multiple times to defy the odds. With a childhood that included living in a motel for seven years, Flahive largely missed out on elementary school—attending second and third grades, then not consistently again until the last three months of sixth grade. Later, at San Diego City College, he made up for lost time, becoming immersed in student support programs like the First Year Experience program. He was pushed to do better, get involved and believe he was capable of achieving anything. He was on the Dean’s List his last two years before transferring to UC San Diego. During the past three years at UC San Diego, Flahive developed his passion for peer mentoring and advocating for transfer students. He became a student counselor for incoming first-generation, low-income students with the TRiO Student Support Services Program, led the All Campus Transfer Association as president, served as an Associated Students senator and held numerous orientation leader positions at Muir College. Flahive will earn degrees in both political science and sociology. These fields have influenced his desire to explore and make positive changes to educational pathways, especially for first-generation and low-income students. Also a theater minor, Flahive has a passion for performance art as an expressive outlet. He is involved with Triton TV, and has starred in numerous short films. Next week, he will take part in his first live performance as part of MENding Monologues, a space for men to take a stand against gender violence through sharing their stories. In addition to delivering the All Campus Commencement student speech, Flahive was also chosen to speak at the Muir College commencement ceremony. At both events he wishes to convey the beauty in overcoming obstacles, honor the unique journey of each individual and celebrate the shared bonds that all students at UC San Diego have in achieving academic goals. Flahive’s goal after graduation is to develop and lead a student success program. First, he will help coordinate the peer mentor program this summer for a new pilot program called Preparing Accomplished Transfers to the Humanities (PATH). 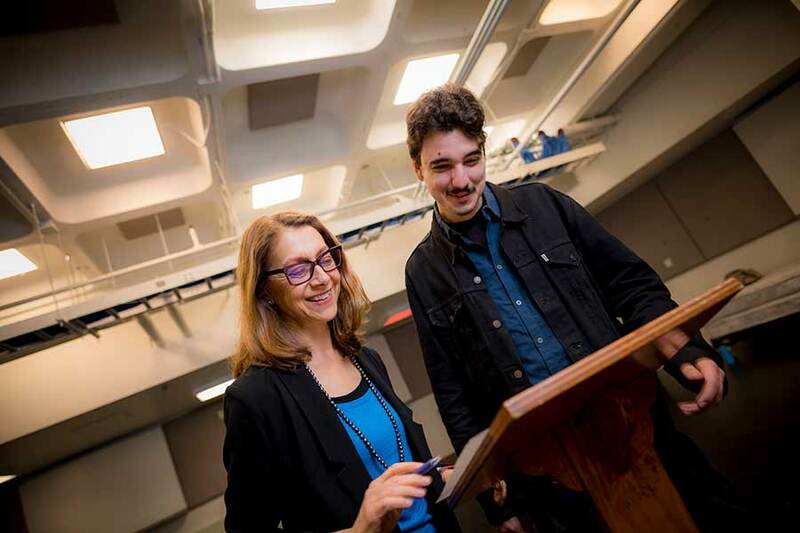 A collaboration between UC San Diego Division of Arts and Humanities and the San Diego Community College District, the program provides guidance and peer mentors to transferring community college students who plan to study humanities. In the long term, Flahive plans to attend graduate school to pursue a doctoral degree in sociology to study educational pathways, poverty and crime and its connection to music and the arts. He would like to be an educator and local change maker while working to impact the world through elected office.